Like window cleaning in Orlando, gutter cleaning in Orlando, FL is an all-too-often overlooked part of home maintenance which can make a world of difference both for positive aspects and significantly negative ones. Having your home’s gutter cleaning in Orlando, FL performed regularly and professionally not only saves your home from water damage, pest infestations, and gutter, siding, and roofing damage but also saves you from the hassle and inconvenience of Orlando gutter cleaning on your own. What’s more, gutter cleaning in Orlando, FL which is performed by experienced professionals like those here at Next Level Exteriors is sure to be comprehensively performed along with a detailed Orlando gutter inspection which will save a significant amount of money by highlighting any problems areas long before the damage they could cause arise. The Next Level Exteriors team specializing in gutter cleaning in Orlando, FL are equipped with all the equipment, experience, skill, and certifications needed to provide the highest quality service possible. This abundance of professionalism and expertise is specifically built to provide the best possible experience for each and every homeowner we work for. 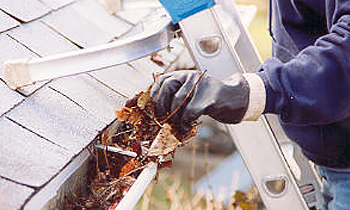 To that end, all Orlando gutter cleaning professionals you connect with through Next Level Exteriors can be counted on to dependably clear your home’s rain gutters from any debris and damage buildup which has naturally developed through the year. Additionally, these gutter cleaning Orlando, FL services are tailored to the particular needs of your gutter’s material and profile to lend personalized service specialization. If you’re ready to have professional, high quality gutter cleaning in Orlando, FL performed at your home then there’s no better time than now to get in touch with the local, experienced specialists here at Next Level Exteriors. Call (407) 326-2006 today to schedule a convenient at-home consultation and estimate completely free of charge or obligation.